Affiliate marketing is one way in which bloggers utilize their blog to generate revenue. The amount of revenue generated by a blog featuring affiliate marketing links may vary significantly depending on the amount of traffic the blog receives as well as the compensation offered for the affiliate marketing. Affiliate marketing essentially entails creating a link on the blog to another company’s website. The other company then compensates the blog owner according to a previously agreed upon contract. This compensation may be awarded in a number of different ways. The blog owner may be compensated each time the advertisement is served, each time a unique website visitor clicks through the advertisement or each time a blog visitor performs a desired action such as making a purchase or registering with the website. This article will discuss some aspects of affiliate marketing which bloggers should understand including selecting opportunities carefully, maximizing the income potential for these opportunities and understanding the requirements associated with these affiliate marketing opportunities. There is a wide variety of affiliate marketing opportunities available. Many different companies and websites offer affiliate marketing opportunities. In most cases the blog owner simply needs to submit the website address of his blog along with some other basic information for approval. In most cases the company is not likely to reject the application unless the content of the website is deemed to be objectionable or otherwise in conflict of interest with the company’s goals. However, although getting approved to display affiliate links on your website is a rather simple process, this does not mean blog owners should select these affiliate marketing opportunities without discretion. It is a far better idea to carefully select affiliate marketing opportunities with companies who are of interest to the target audience of the blog. A well focused blog that is reaching a specific target audience should seek to display marketing links directing website traffic to companies which complement the blog without acting as direct competition to the blog. This helps to ensure the blog visitors will not only be interested in the affiliate marketing links and therefore more likely to click on the links but will also help to ensure the blog visitors do not find the affiliate marketing links to be bothersome. Once blog owners have selected affiliate marketing opportunities it is time to consider how they can maximize the profit generated by these links. There are a couple of critical factors which blog owners should carefully consider to help maximize their profit from affiliate marketing. This includes regularly evaluating the effectiveness of the affiliate links and promoting the blog to maximize traffic. Blog owners who incorporate affiliate marketing into their blog should regularly evaluate the effectiveness of the affiliate links. This can be done by comparing the percentage of blog visitors who click on the affiliate links to the overall blog traffic. A blog which has high traffic but a relatively small percentage of visitors who click on the affiliate links should consider making changes to attempt to entice more blog visitors to click on the links. These changes can involve the aesthetics, size or location of the advertisements. Making only one change at a time is recommended because it makes it easier for the blog owner to evaluate which changes are most beneficial. 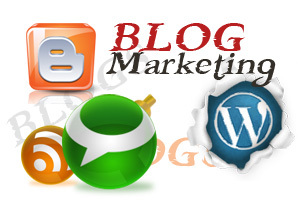 Blog owners can also help to maximize the profit from their affiliate marketing opportunities by doing self promotion to drive additional website to the blog. This will likely be beneficial because higher website traffic will generally translate to greater profit from affiliate marketing. Additionally, the blog owner may want to occasionally mention companies for which they are an affiliate to generate interest in the advertisements on the website. Finally, blog owners should pay careful attention to the affiliate marketing agreements they enter. This is important because some companies may place restrictions on the usage of a link to their website. This may include restrictions such as avoiding objectionable content, not including links or advertisements for direct competitors or restrictions on the appearance of the affiliate links. Failure to adhere to these guidelines may result in the blog losing affiliate privileges and the blog owner being denied compensation.